[caption id="attachment_36273" align="alignleft" width="150"] Ted Cheskey, Naturalist Director. [/caption] This was written by Ted Cheskey, Naturalist Director, Nature Canada There is nothing that says “spring” more than the song of birds, starting an hour before sunrise, waking you from your sleep, and getting you into an argument with your partner about whether bird song is a good thing or not. Well, in case you had any doubts, we at Nature Canada are on the side of the birds (and those who love them). Bird migration is part of the Canadian fabric. Every fall, nearly 80 percent of the species and over 95 percent of the individual birds leave our borders to fly south where there is adequate food and shelter to sustain them. The survivors return in the spring, when nature withdraws her cloak of snow and ice and food becomes abundant enough for the birds to raise a brood or two. It’s an amazing, mystical phenomenon that we still don’t fully understand. It deserves celebration! Sadly, the spring chorus is not like it used to be as more and more of our bird species are pushed to the brink by human actions. A recent 2018 State of the World’s Birds Report published by Birdlife International confirms 40 percent of the world’s 11,000 bird species are in decline, and one in eight bird species is threatened with global extinction. Two Canadian provincial emblems, the Snowy Owl (Quebec) and the Atlantic Puffin (Newfoundland – Labrador) are now globally threatened with extinction. More than one-third of North America’s native bird species need urgent conservation action. Among them are the musical Wood Thrush, Bobolink, and the Canada Warbler. Can you imagine these birds disappearing forever? In Canada over 65 percent of designated Important Bird and Biodiversity Areas lack legal protection, leaving these areas and birds vulnerable to industrial development, intensive agriculture and urban sprawl. These factors, combined with generic threats in wintering grounds and along migration routes like domestic cats and windows, are just a few of the reasons why Nature Canada is encouraging all nature lovers to help protect birds every day for the "Year of the Bird." 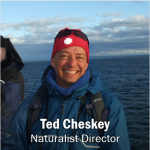 [caption id="attachment_36273" align="alignleft" width="150"] Ted Cheskey, Naturalist Director. [/caption] This blog was written by Ted Cheskey, the Naturalist Director at Nature Canada. 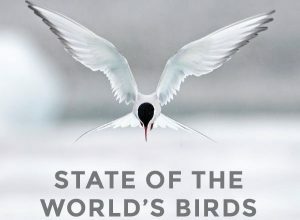 BirdLife, the global authority on the status of birds, and the global leader for bird conservation, recently published its State of the World’s Birds, five years after the previous State of the World’s Birds was released at the Global Congress of BirdLife International in Ottawa. As Canadian co-partner of BirdLife, it behooves Nature Canada to share some of the key findings and messages of this landmark report. This is a serious document that is chalk full of valuable information on the state of the world’s birds. North American birds receive little attention compared to the avifauna of the rest of the world, and that is fine. The report is structured as a story-telling document, with a narrative starting with the value of birds, and diving deep into the threats and problems facing them, and concluding with a review of the important tools and initiatives needed to turn around the fortune of our feathered friends. Each section has multiple case studies to provide examples in support of that particular part of the narrative. Here are some of the highlights from my reading: [caption id="attachment_36862" align="alignright" width="300"] State of the World's Birds, Taking Pulse of the Planet. Photo courtesy of Bird Life International. [/caption] There are more species now then before even though they are going extinct at a faster rate. That seems counterintuitive, and but here is the scoop. The science of taxonomy is rapidly evolving and what we once may have considered as one species, in some cases, we now recognize a dozen. You get the picture. So if 5 of that dozen go extinct, we still end up with 7 species where before we had one. So the number of species on earth is 11,121 based on the 2016 “Checklist of the Birds of the World,” meaning that the number of species counted in previous approaches was about 10% lower than it really is, according to current science. So about extinction – as many as 183 species “may have been lost” in the last 500 years. What doesn’t bode well is that about 40% of all bird species are currently in decline whereas only 7% are increasing while the remainder is stable. 2486 species are globally threatened or near-threatened. This is where I noticed a few familiar names on the list – Snowy Owl, Atlantic Puffin and Black-legged Kittiwake – common species in parts of Canada. They have all been up-listed to “Vulnerable.” Yikes! Agricultural expansion and intensification followed by logging, and invasive species ranked as top three threats to birds. Intensive agriculture impacts 1091 globally threatened species, logging affects 734, and invasive species threatens 578. Neonic pesticides, widely used in agriculture in Canada still are mentioned in one of the case studies as a contributing factor to grassland species declines. We know that they are impacting aerial insectivores also (not just bees). Nature Canada recently did a national campaign on neonics, calling on the Canadian government to ban them. Logging is a huge threat that impacts the forest birds in Canada, but which is much more acute in their tropical wintering areas. In the case study on logging, a graph shows that South America holds most of the world’s forest-dependent bird species – not surprising, as we know that Amazonia is the lungs of the earth. Invasive species impact is most acute on islands and for island-restricted bird species. Seventy five percent of the globally threatened species on islands are mainly threatened by invasive species like mice, rats and cats, whereas only 13% are impacted by invasive species on continental landmasses. Rats and mice are the biggest problem, threatening 250 species, following by cats at 202 species. Nature Canada knows the cat issue well and recognizes that feral cats on islands can devastate small animal population. Most of the bird extinctions associated with cats have been island restricted bird species. For more information on our campaign to keep cats safe and save bird lives visit www.catsandbirds.ca. 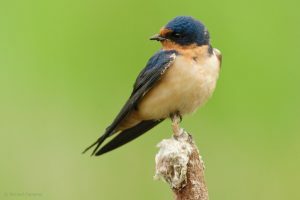 [caption id="attachment_36864" align="alignleft" width="300"] Barn Swallow, Richard Cameron. [/caption] Another human-associated threat that takes a huge toll on seabirds is fishing gear. Gill nets kill about 400,000 seabirds annually whereas longline hooks kill around 160,000. One hundred and ninety three species of seabirds are impacted and threatened by industrial-scale fishing. Finally climate change is portrayed as the elephant in the room, exacerbating many of the other threats and adding considerable uncertainty. More species, about twice as many, will be negatively impact by climate change than positively impacted, according to BirdLife’s analysis of birds in North American and Europe. In the section on solutions, a few things rise to the surface that resonate with me, and with what we need to do here in Canada and in the Americas. Protect IBAs. In Europe, BirdLife partners have done a good job of getting official legal protection for IBAs as Special Protected Areas. Protection has increased from 23% in 1993 to 70% in 2016. Compare that to Canada’s 35% protection of IBAs in 2016, and you can see that we have a long way to go. We hope that the Federal Government’s commitment to the Pathway to Target One – to protect at least 17% of terrestrial and 10% of marine habitat will prioritize IBAs which collectively account for less than 3% of the land cover. We should include as part of our Target one commitment as commitment to legally protect over two-thirds of our IBAs in Canada. Recover species at risk. BirdLife has many examples in their case studies of how a committed group of people saved a species from extinction. We have experienced that in Canada ourselves with the Whooping Crane and to an extent, the Kirtland’s Warbler. But the list of threatened bird species continues to grow in Canada, doubling from 47 to 94 between 2001 and 2018. 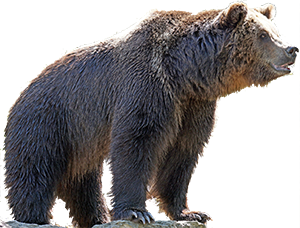 The federal government needs to show better leadership in species at risk recovery by timely listing decisions and more concerted multi-species project recovery support. There also needs to be an investment in international conservation as many of the threats to birds that breed in Canada occur in the tropics or on their migration paths. BirdLife partners in Cambodia are showcased in one of the 50+ casestudies, in terms of producing a “wildlife friendly’ rice that supports five critically endangered bird species. Nature Canada promotes “bird friendly coffee” consumption in Canada to support the Canada Warbler and many other bird species on their tropical wintering grounds, reminding Canadian coffee drinkers that their choice of what coffee to consume can positively or negatively impact the birds that are here. We are also initiating a project in Ontario to work with farmers to develop beneficial practices for birds on the farming landscape. Please consult the following for more information on the state of birds in Canada. One in eight bird species threatened with extinction, global study finds in the International Edition of the Guardian. Enable people to further discover and connect with our parks and heritage through innovative ideas that help share these special places with Canadians. Put in place measures that sustain for generations to come the incredible value both economic and ecological that our parks and historic sites provide for communities. The value they bring to fighting climate change, protecting wild life, including species at risk and shaping our Canadian identity and the great economic opportunities that they bring. [caption id="attachment_36826" align="alignright" width="281"] Aiden Mahoney. Snowshoer on Pine Tree Mountain[/caption] Nature Canada agrees with these priorities subject to the overriding imperative of ensuring that Canada’s parks are protected and sustained for future generations. However, Nature Canada is troubled by the fact that the proposed Impact Assessment Act currently being debated in Parliament will not legally require impact assessments of development projects—even construction of skiing venues for the 2026 Winter Olympics in Banff National Park!! So we are not convinced that the Parks Canada is committed to using key tools to ensure that National Parks are in fact protected. McKenna also announced that entry to National Parks will be free for children aged 17 years and under. 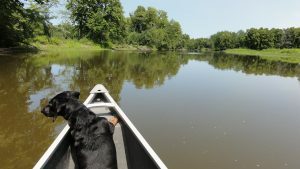 As stewards of the future, it is important for them to have a strong appreciation of our natural world: “When you connect with parks, you understand the critical importance of protecting them.” McKenna reiterated. [caption id="attachment_36827" align="alignleft" width="300"] Adrian Suszko. The National Park. [/caption] She outlined how the historic federal investment of 1.3 billion in nature conservation, announced in Budget 2018, will enable protection of Canada's natural places and recovery and preservation of species at risk. 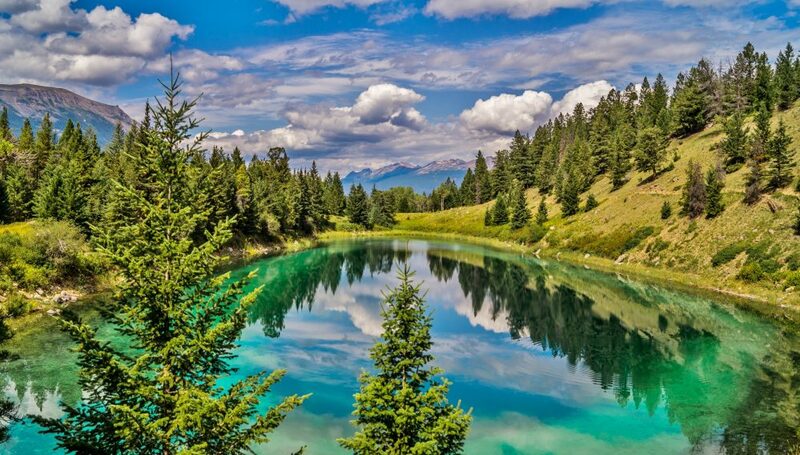 Progress is being made toward achieving Canada’s international commitment to conserving 17 percent of land and 10 percent of ocean by 2020. 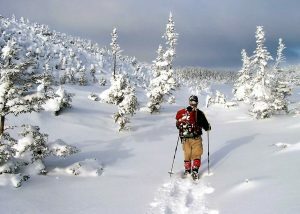 However, federal and provincial governments need to develop plans to establish more protected areas within their respective jurisdictions; Nature Canada will be working with provincial and local nature groups across Canada to push governments to complete these plans and get on with identifying important sites across Canada to be protected. Funds from Budget 2018 will also make it possible to secure private land, support provincial and territorial species protection efforts, and build Indigenous capacity to conserve land and species. The federal government has made it a priority to forge new relationships with First Nations and Inuit and Metis people based on the recognition of rights, respect, cooperation and partnerships. Nature Canada is convinced that there is a tremendous opportunity to protect ecosystems through Indigenous Protected and Conserved Areas (IPCAs) established and managed by Indigenous organizations. Potential IPCAs include the North French River watershed in Moose Cree traditional territory in northern Ontario, and Edehzhie in Deh Cho traditional territory in western Northwest Territories. To read more about the topic, check out Newswire, CTV or Canadian Geographic's media articles. For more details on the Ministers Round table 2017, visit here. 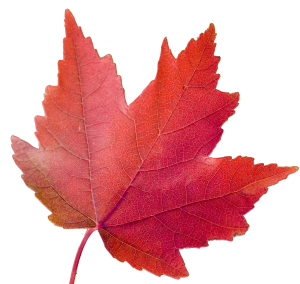 Read more about Lets Talk Parks Canada. 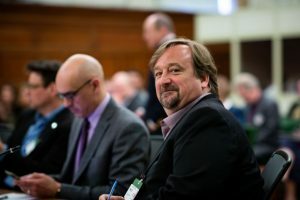 On Monday, May 7th Graham Saul, the Executive Director of Nature Canada testified before the Finance Committee at the House of Commons, who are considering Bill C-74. 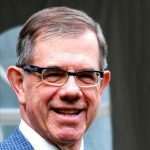 Graham remarked that Nature Canada is truly excited about the promise of expending this $1.3 billion prudently over five years to reverse the decline in biodiversity in Canada by establishing and managing protected areas and recovering species at risk. He continued by thanking the Government of Canada, and the 116 members of Parliament that supported the Green Budget Coalition's recommendation for this historical investment. During his testimony, Graham touched upon the subject of Greenhouse Gas pollution, and highlighted the impact of inaction - which has seemingly been the status quo since 1992. It was over twenty-six years ago, in May of 1992, that Canada signed the United Nations Framework on Climate Change. "It has been over twenty-five years since Canada promised to reduce its Greenhouse Gas Emissions, and we've barely begun to follow through on that promise." Continuing on that thought, Graham noted the promise that was made fourteen years ago, when Prime Minister Paul Martin first announced plans to put a price on GHG pollution by creating a market for emission reductions in all sectors of the economy. "[...] and it never happened." [caption id="attachment_36844" align="alignright" width="300"] Graham Saul, at the House of Commons. Photo by Alex Tétreault. [/caption] Graham then moved on to more recent events, or lack thereof, in 2008 when the Conservative Federal Environmental Minister John Baird called carbon trading a "key part" of the government's new turning the corner plan to reduce GHG emissions, and then, later on that year the Conservative government of Stephen Harper won a minority mandate with a campaign that clearly pledged to develop and implement a cap and trade system for GHG and air pollution. Moving onto 2015, Canadians supported a Liberal election platform that made a clear commitment to put a price on GHG pollution. None of these have happened. While there was inaction in Government, mother nature wasn't one to wait. From the devastation caused by two "100 year floods" in Calgary in only eight years, then the forest fires that forced 90,000 people from their homes in Fort McMurray, followed by the forest fires in British-Columbia, the flooding in Gatineau and Ottawa, and the current flooding in New Brunswick - there is no denying that climate change is probably the biggest global threat to nature and biodiversity in Canada, right now. During the questions period, Graham highlighted "the fundamental philosophical difference that we have is, do you actually care about that problem?" He continued on by saying that "If, in fact, everyone around this table does truly care about this problem ... then every party around the table has a responsibility to come forward with a plan that reflects the fact that they truly want to try to address it. And in absence of that plan it's very difficult to come to the conclusion that we do in fact share a concern about this problem." For further media coverage by CBC who highlighted how Graham brought to the committee's attention that: "[...] we have a serious problem on our hands. If you actually believe in the science ... then you have to draw the conclusion that it would be reckless and irresponsible to continue on the trajectory that we are on today. That it would fundamentally undermine the well-being of our children and that it would cause potentially unprecedented harm to our economy and to future generations," As well as in the National Observer, when Graham brought attention to the flooding in New Brunswick, stating that "We need to stop fiddling when places like New Brunswick drown [...]"
Parliament of Canada, House of Commons. [caption id="attachment_36177" align="alignleft" width="150"] Stephen Hazell, Director of Conservation and General Counsel[/caption] The federal government of Justin Trudeau received an “A” for effort and a “C” for execution in mid-term grades set out in a report prepared for national environmental groups including Nature Canada. The "Clock is ticking" report gave an A to the government for the 2018 federal budget commitments to establish protected areas and recover species at risk. Nature Canada was quoted in the report to say: “Nature lovers – rejoice: Nature’s protection is taking flight and the 2018 federal budget is an amazing first step! 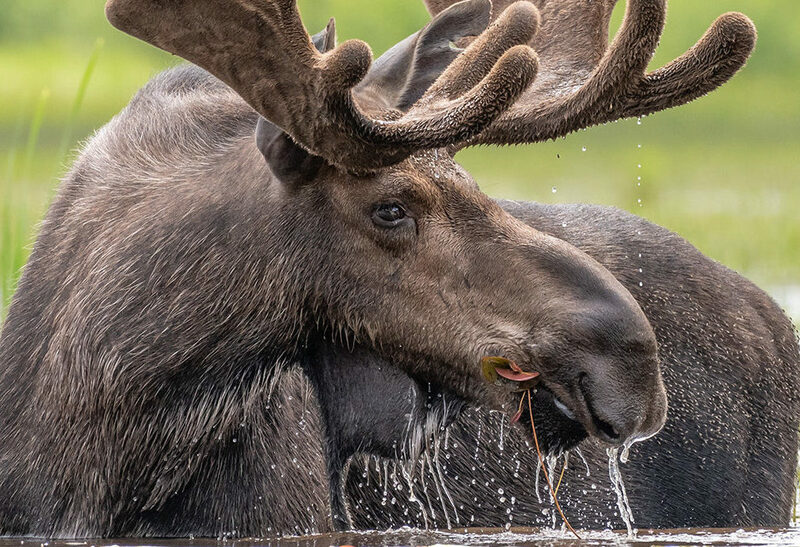 We think that Canada’s wildlife would also applaud.” Budget 2018 included $1.3 billion over five years for protected areas and species as well as $1 billion to implement new environmental laws. At the same time, the report argued that the federal government needs to speed-up its activities for terrestrial protection to meet electoral and mandate letter promises. The report found that “species protection continues to lag” “despite the hopeful promises in early 2000 with the passage of Species at Risk Act.” Overall, the mid-term report concluded that the federal government “is making significant improvements to the environmental health of the country”. The government has “an ambitious agenda for their mandate and reversed many previous cuts to environmental laws, policies and finances.” Many promises have been kept. Achieving Paris Agreement targets for carbon emission reductions are quickly coming out of reach; and the proposed environmental impact assessment legislation needs further work. The link to the mid-term report, Clock is Ticking: A Mid-term Report Card on the Federal Government and its Work on the Environment, can be found here, and the release, here. Ottawa, Ontario, 7 mai 2018 — Le samedi 12 mai, des dizaines de regroupements de personnes célèbreront partout au pays la Journée mondiale des oiseaux migrateurs avec des activités thématiques allant d’ateliers de maquillage pour les enfants à l’observation d’oiseaux, pour le bonheur des petits et des grands. Chaque année, le printemps est marqué par les déplacements de centaines d’espèces d’oiseaux, dont plusieurs reviennent au Canada après être allés aussi loin qu’en Amérique du Sud. « Nous sommes ravis qu’autant de groupes participent à la Journée des oiseaux cette année, explique Graham Saul, directeur général de Nature Canada. Les oiseaux font un voyage incroyable pour revenir ici, auprès de nous : nous leur devons bien d’accentuer nos efforts de conservation afin qu’ils puissent continuer d’accomplir leur périple chaque année ». Un rapport qui porte sur l’état des populations d’oiseaux dans le monde publié récemment par l’organisme BirdLife International a confirmé ce que nous savions déjà : les oiseaux sont en danger. Selon le rapport, 40 % des 11 000 espèces d’oiseaux que l’on retrouve sur la planète sont en déclin, et une espèce sur huit est carrément menacée d’extinction complète. La perte d’habitat, le changement climatique, l’utilisation de produits chimiques et la prédation par les chats domestiques comptent parmi les menaces qui guettent l’avifaune. À l’occasion de ces nombreuses célébrations tenues partout au pays, l’équipe de Nature Canada et ses partenaires se feront un plaisir de partager des ressources permettant de protéger les chats et de sauver les oiseaux dans le cadre de son importante campagne intitulée Des chats et des oiseaux. « Il s’agit d’une problématique majeure et, en tant qu’individus, nous pouvons réellement agir à cet égard et changer les choses pour le mieux. » Selon Jody Allair, gestionnaire nationale, sensibilisation à la conservation pour Études d’oiseaux Canada, « les oiseaux sont un excellent sujet pour susciter l’engagement de la population envers la nature. Le fait de prendre part à une activité thématique dans le cadre de la Journée mondiale des oiseaux migrateurs est une façon infaillible de tomber amoureux de l’incroyable vie aviaire du Canada ». « Avec l’arrivée de tous ces oiseaux migrateurs, c’est vraiment au mois de mai que la nature semble reprendre ses droits sur le long hiver que nous venons de passer, » nous dit Jean-Sébastien Guénette, directeur général du Regroupement QuébecOiseaux. « C’est de loin la période la plus excitante pour tous les ornithologues et autres passionnés de nature. » La Journée internationale des oiseaux migrateurs a vu le jour en 1993 et elle est devenue, en 2007, un projet de l’organisme Environment for the Americas (EFTA) qui s’est donné pour mission de sensibiliser davantage la population à la nécessite de conserver les oiseaux et leur habitat. En 2018, l’EFTA s’est ralliée à la Convention sur les espèces migratrices (CMS) et à l’Accord sur la conservation des oiseaux d’eau migrateurs d’Afrique-Eurasie (AEWA). Des groupes de partout au pays ont ajouté leur événement à la carte interactive qui se trouve sur le site www.birday.ca. La Journée mondiale des oiseaux migrateurs se veut une initiative conjointe de Nature Canada, d’Études d’oiseaux Canada et du Regroupement QuébecOiseaux. OTTAWA, ON (May 7, 2018) - Dozens of groups from coast to coast are celebrating World Migratory Bird Day this coming Saturday, May 12, with events ranging from bird watching to face painting. Spring is when hundreds of species of birds are on the move, with many returning to Canada from as far away as South America. 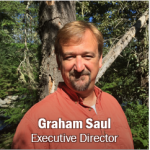 “We’re thrilled so many groups are participating in this year’s Bird Day,” said Graham Saul, Executive Director of Nature Canada. “Birds go through incredible journeys to be with us, and we owe it to them to step up our conservation efforts so that they can continue to thrive.” A new report from BirdLife International, State of the World’s Birds 2018, reinforces what we already knew - birds are in trouble. Forty percent of the world’s 11,000 bird species are in decline, and one in eight bird species is threatened with global extinction. Threats to birds include habitat loss, climate change, chemical use, window collisions and outdoor domestic cats. Nature Canada and its partners encourage Canadians to take positive actions on behalf of birds, including keeping cats safe from roaming, making their gardens bird-friendly, reducing window and car collisions, and celebrating birds -- on Bird Day and throughout the year. World Migratory Bird Day was created in 1993 and is a project of Environment for the Americas to raise awareness on the need to conserve birds and their habitats. “Birds are a fantastic subject matter to engage people in nature,” says Jody Allair, National Conservation Outreach Manager for Bird Studies Canada. “Participating in a bird-themed event on World Migratory Bird Day is a sure-fire way to become inspired by Canada’s amazing birdlife.” “With the arrival all of these migratory birds happening in May, it seems as though nature is making its claim against the long winter that we just had,” says Jean-Sébastien Guénette, director of Québec Oiseaux. “It is by far the most exciting time of year for ornithologists and nature lovers alike.” Groups across the country have listed their events on a map hosted at www.birdday.ca [journeedesoiseaux.ca]. The World Migratory Bird Day initiative in Canada is a joint project of Nature Canada, Bird Studies Canada and Québec Oiseaux. The benefits of spending time in nature are endless. 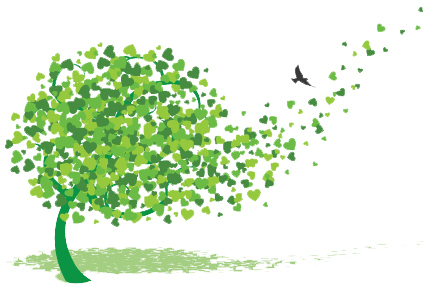 Daily contact with nature has a positive impact on our social, psychological and physical health, and is an important factor to keep us connected to our natural environment. In the last few decades humans have become more sedentary, and less inclined to spend time in nature. This is causing a disconnect with nature, and with our own well-being. 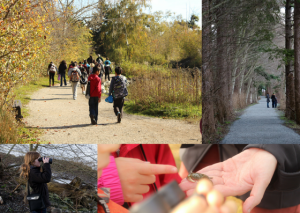 This week, to celebrate Mental Health Week in Canada, we are discussing the impact of nature on your mental health. The benefits of time in nature are proportionate with the quality of the green space, the amount of time spent there and the level of immersion (active, such as green exercise is more effective than passive, say, looking out a window). Therefore, it behooves us to champion the creation and protection of accessible, biodiverse natural areas where we live, work and play. So whether you have a "black dog" in your life or just had a bad day, think about going outside for a healthy dose of nature! [caption id="attachment_36747" align="alignleft" width="150"] Sharolyn Mathieu Vettese, a Women for Nature Member. 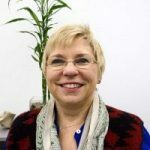 [/caption] [caption id="attachment_36759" align="alignright" width="150"] Janet Bax, a Women for Nature member and mentor. [/caption] Featuring Women for Nature member’s Janet Bax. Written by fellow Women for Nature member Sharolyn Mathieu Vettese. Sharolyn: You have had a long illustrious career in both government and academia. From what you’ve seen, do they work together or in tandem when it comes to protecting the environment? Janet: Academia and government have very different roles to play, but they’re equally important. One of government’s primary roles is to develop programs and policies that work to create that economic well-being in the interest of the people. Academia advances the science and knowledge. When I think of my career in government, we called on scientists to give us the underpinning for policies. Working with home grown scientists, there was always a collaborative spirit. I started in policy development in the Progressive Conservative government of Ontario with Premier Bill Davis in the financial area, then moved federally to foreign affairs, and then worked under the Progressive Conservative government under Prime Minister Brian Mulroney to advance Canada’s position as part of an international climate change agreement. In those days, Environment Canada was really strong. We were working on a Canadian position which had to include both the positions of Canada’s natural resource NGOs and Department and also that of Environment Canada that was fighting for climate change policies. It was very fractious; however, at Geneva, we had a consolidated Canadian position. That was when the international model for cap and trade was discussed and developed. S: What do you mean that Environment Canada was really strong? J: It started under Brian Mulroney, and continued under Prime Minister Chretien when we had two very strong cabinet ministers working on climate change, and they were both women! They were Sheila Copps who was at the same time Deputy Prime Minister and Minister of the Environment, and Anne McLennan who was Minister of Natural Resources. S: It is important to note these capable women were given the chance by a strong leader, Jean Chretien, and they did not disappoint. Up to then, few women were given a chance, but were set up for failure. J: Yes. These women were pioneers. I also worked with Elizabeth Dowdeswell, the current Lieutenant Governor of Ontario. She is also passionate about the work in which she is involved. S: How do you define a strong woman? J: Interesting question. I think you want and need models. Liz reminds me that when we both worked at the provincial level and went to federal provincial meetings, we were the only women there. We were there to do a job. We stuck together. The women were not strident, contrary to the John Crosby thing. Liz has always wanted to do a good job. For instance, when she was the Canadian representative to the UN Environmental Program in Nairobi, she wanted to make changes, and she did. S: Why do you think there weren’t, and aren’t more women in a leadership role? J: One of the first assessments I undertook when I joined the Council of Canadian Academies looked at the factors that influence the career trajectory of women in research and explored why there are not more women at the top in academia. It found there are all kinds of factors that can explain why there aren’t more women in positions of leadership – things like the timing of childbearing years and career choices, but more importantly, women don’t have the same kind of networks as men. Men use their networks to get ahead. They have time to make connections, which they use so well. Women are busy looking after their home, and kids and if they don’t publish in academia, they perish. Women are so stretched; they don’t have time to network. Research showed this impacted their ability to climb the success ladder. S: From your experience, has protection of the environment always been the case or were nature and the environment seen as commodities to be sold? If there was a shift, when did it happen. J: First of all, there were major cross-border events such as the Love Canal in Niagara; and the acid rain agreement involving Canada and the US on our shared Great Lakes. But, there was also the United Nations 1987 Brundtland Commission which coined the term “sustainable development”. This was the notion that development must meet the needs of the present without compromising the ability of future generations to meet their own needs, and that the exploitation of natural resources and protection of the environment did not have to involve the deterioration of economic and social development. S: You’ve traveled a lot outside of Canada, what does Nature mean to you? J: I think we Canadians value our environment. I think of Sheila Copps and how she created all the national parks under Prime Minister Chretien. I am so proud of these extraordinary protected lands such as the Gwaii Haanas National Park. I am so happy that for Canada 150 the national parks were free. 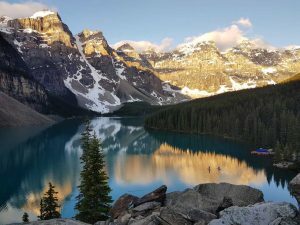 It was so successful that now they have to limit visitors to some of our most popular national parks such as Banff. We have been very good at preserving our environments. Now, we have to do same for water. When I come back from Europe or Africa, I know how important fresh water is. Many think the next world war will be a fight for water. Canada does have fresh water, so we are fortunate. 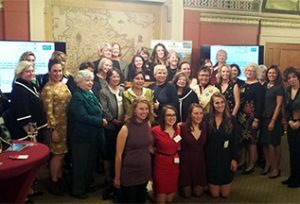 [caption id="attachment_35109" align="alignleft" width="300"] Women for Nature at the Parliamentary Reception in October 2017. [/caption] S: What is the value of being a Woman for Nature? J: It is a wonderful thing to give back, and also saying this is what I stand for. It defines me. The greatest thing about Women for Nature is that we have a common goal of being interested in Nature, preserving it, and ensuring younger women get involved. It has provided such a wonderful network. S: What do you hope to achieve by being a Woman for Nature? J: I’ve helped set up the mentorship program for young women. Many of them are so talented and simply need more confidence – to feel empowered in their decisions. Mentorship is having a person with experience at your side to say, why not try it this way. We’ve only recently launched the program, and hope to see it as a success. S: How would you describe your experience so far at Women for Nature? I love Women for Nature! We have to be involved in nature. Even though you’re giving, you’re getting something back. 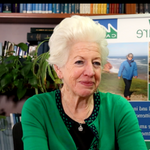 Watch the below video of Janet talking about Nature Canada’s amazing Women for Nature and their collective voices! Why Feed Wild Birds? Spring can be a stressful time for migratory birds, after arriving from their wintering grounds it can be difficult to find the food and resources they need to survive. Many of the berries and seeds these birds depend upon for food will have been eaten over the winter and will not have begun to grow back yet. 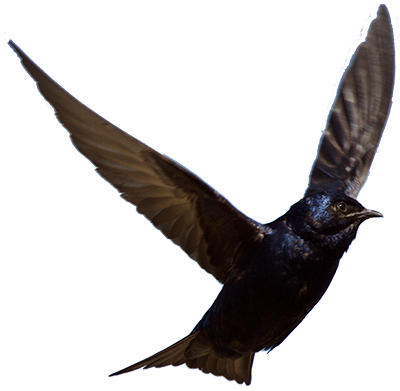 Furthermore, these birds will also be attempting to build nests, fight for territory, find a mate, and incubate their young. This is no small task due to natural bird habitats are being destroyed by urban and industrial development projects as well as climate change. Preparation While well-constructed bird feeders are not necessarily required to feed birds, without one the food you leave out may attract unwanted animals such as squirrels or dominant birds such as starlings, grackles, and squirrels. 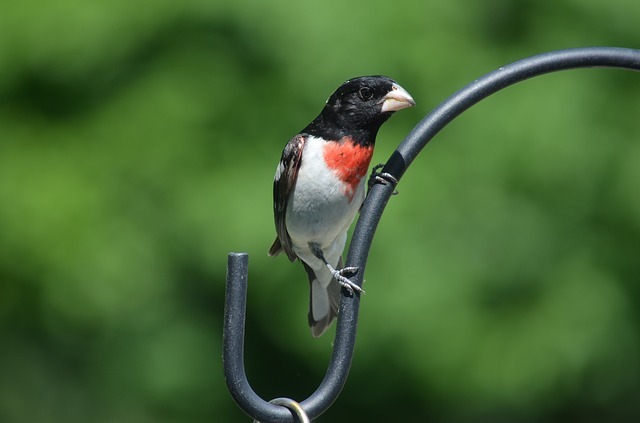 If you already own a bird feeder, make sure to clean it of any feed from the last season to avoid any mold or possible parasite growth within the feeder. Be aware of what birds occupy your neighborhood to help you select the best ingredients and location for your feeder. Sometimes changing the location can attract or discourage certain animals and species of birds from stealing from your feeder. If you do not own a bird feeder but would like to purchase one, links to purchase high quality bird feeders can be found here and here. Feeding The most important part of feeding birds is the mix of ingredients you use to attract them. Many commercial bird feeder mixes can often be ineffective in enticing more desirable bird species. Products that birds find undesirable such as milo are used to fill up these mixes, resulting in birds picking through the mix, creating a mess bellow the feeder. This mess can often attract unwanted animals or form a sludgy mixture that can make birds sick, depending on the ingredients used. Ingredients for Feeder Sunflower Chips: These unshelled sunflower seeds are great for attracting bug-eating birds like robins, warblers and tanagers before bugs resurface for the summer. Also good for attracting Chickadees, nuthatches, house finches and cardinals. Safflower: With its hard-thick shell it can be hard for some birds to consume this seed. It is however, a favorite of chickadees, doves, and sparrows. According to some sources, house sparrows, European starlings and squirrels do not like safflower. Results may vary according to area. Millet: Millet is a common grain that is very popular among ground-feeding birds such as sparrows, doves and cardinals. As this grain is most popular with ground feeding birds, it may be beneficial to serve this from a low-set tray feeder to attract more birds. 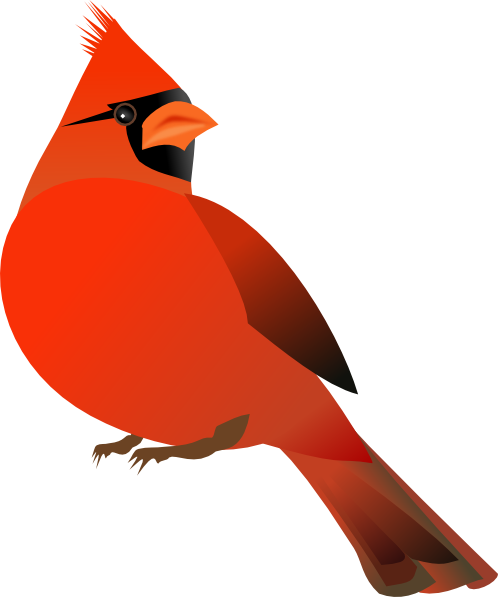 Peanuts: Peanuts are an impressive source of nutrition for birds such as blue jays, chickadees, and woodpeckers. Unfortunately, they may also attract unwanted animals such as raccoons and squirrels. 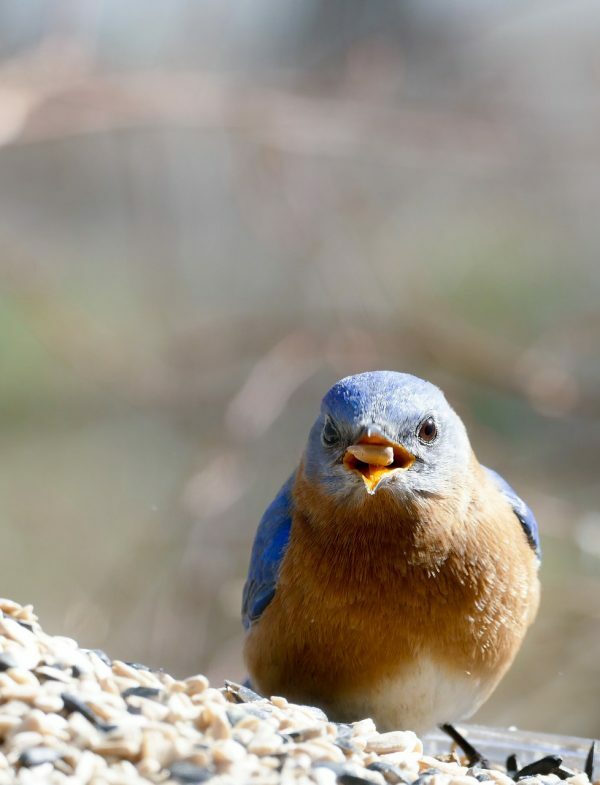 Mealworms: Mealworms are a great way of attracting bug-eating birds such as blue jays, robins, Wrens, Warblers and Mocking birds Suet: Suet can attract all manner of birds on cool spring days. It is a high-energy food made with the fat found around the kidneys and loin of cattle or sheep designed to keep the stomach of birds full and warm throughout the winter. While suet can spoil quickly in the warmer weather, there are a number of alternative recipes to prevent it from melting that can be found here as well as here. Nectar: Though humming birds require specialized feeders, you can attract them by providing them with homemade nectar, the recipe for which can be found here.